You won't have to touch the icky stuff again. 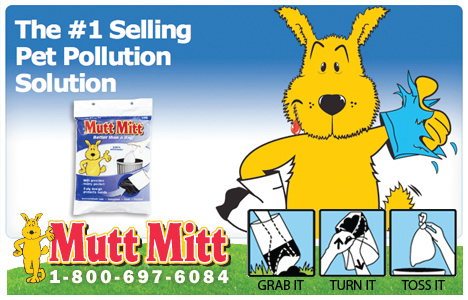 Mutt Mitts are strong, easy to use, and protect the environment. "I've been using Mutt Mitts since 1995 and they are the best! No other brand compares with the durability of Mutt Mitts and the ease of use. Thanks for such a wonderful product!" See why dog owners, veterinarians, businesses, and parks are all using Mutt Mitts. Order your Mutt Mitts online today risk-free and save 10% when you use code MPV3 at checkout.